It's time for another great tutorial from one of our design team members! Are you having fun? Hi! I'm Trudi, one of the Design Team members here at The Pink Elephant and today I'm going to show you a cute project that is a little different from the traditional advent calendar. First you will need to paint your carton. You can use spray paint or a craft paint, I used a craft paint and brushed it onto my carton inside & out. Don't worry too much about covering up the lettering, you will cover that with paper, I did do some touch up with a 2nd coat though. Here's what the carton will look like after you have painted it. 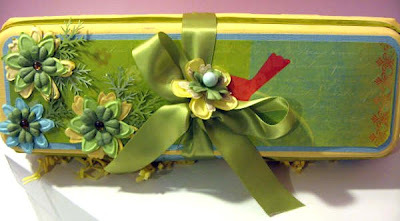 Next cut and cover the top of your carton with patterned paper and embellish it however you wish. I added some flowers with some dew drops. 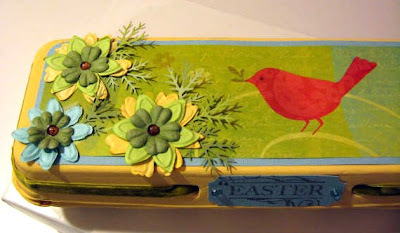 I then trimmed out the cover with a green velvet ribbon and stamped "Easter" on a piece of cardstock & attached it. Here's how the outside looks all decorated. Now you will want to fill your eggs with whatever you want to put in them. I decided to wrap my eggs with tulle then attached the numbered tag with a piece of ribbon tied around the tulle. You can use just sticker numbers on your eggs instead if you wish. One tip for wrapping the tulle is to place the egg inside the carton to hold it so the egg and tulle aren't slipping all over while you're trying to tie it. Here's all my eggs filled & numbered. 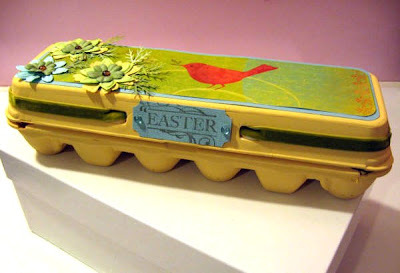 Open your carton and decorate the inside cover with patterned paper and embellishments, place your eggs in the carton, fill it in with your easter grass and sprinkle some candy in there if you wish too! Here's a look at the inside all put together. Now, if you filled your carton as full as I did :) you will need a ribbon to tie your carton closed. I used a green satin ribbon then added a sewing pin with some buttons and flowers to embellish it a bit. Here's my carton all ready to be shipped to one of my scrappy friends full of fun embellishments. scrappy friend or whatever. Thanks for checking out my tutorial and have fun! Great tutorial Trudi! Thank you! 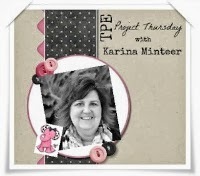 We hope you are enjoying TPE's Easter Blog Hop weekend! We are having so much fun! 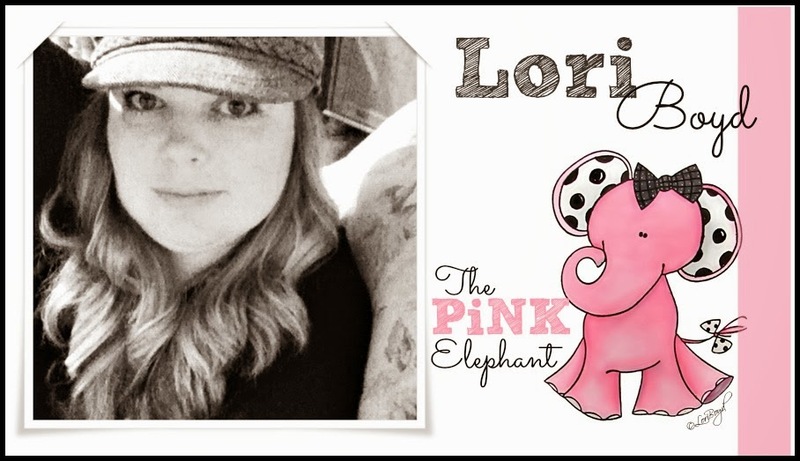 Be sure to check back at 8 PM EST for another fabulous tutorial from Lori R! Don't forget to scroll down for the mini challenge, blog candy hop and Find Ella game! Nice tutorials, i'm getting so many tips on how to store and arrange my embellishments, :) thanks for all the effort u guys are putting in. oh wow Trudi that is gorgeous - love the eggs wrapped in tuille - makes them extra special. Thanks for a GREAT tut!! This is brilliant. It would also be a fun one to do with kids. What a fun project! Thanks for the tutorial. Definitely a project that the 'littlies' will love to do. Uh-May-Zing!! 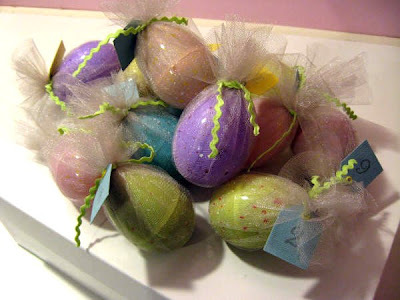 I loooooove the eggs wrapped in tulle, they look so pretty!! You're a genius! I gotta make one of these!!! Thanks for the great tut!! Trudi...this is so fun and colorful!! I'll have to get a try too!! This is a great idea! I had been wanting to find some kind of springtime countdown calendar, and this is so pretty! Thanks for sharing your project. 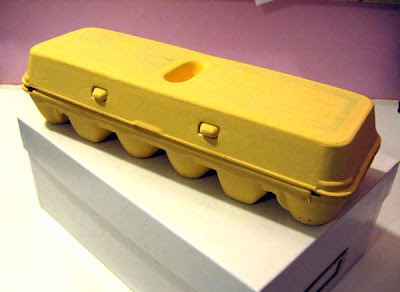 this is a brill idea :-) I think I'll make some of these but for 6 eggs !!! ha ha , cadbury's cream eggs ,,, yumm ! !